Why not hire a car and explore the wonders of the island. 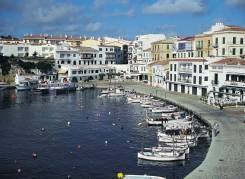 Among the small, local villages, Ferreries retains its traditional ways but the place not to miss is the former capital Cuidadella. 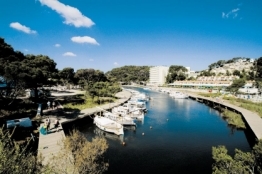 Boat trips also cruise along the south coast and drop anchor off two of the prettiest coves. Cala Galdana bay is considered one of the most beautiful coves in the Western Mediterranean. It is protected by high cliffs and there's shade from fragrant pine trees that surround this attractive hideaway. 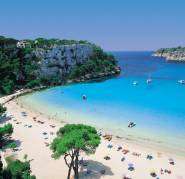 Cala Galdana is also an ideal starting point for many walks along the picturesque south coast towards Mahon. 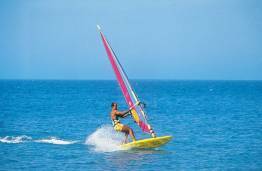 Cala Galdana is hard to beat for a relaxing holiday and also offers watersports and tennis courts. The horseshoe bay, turquoise sea and powdery white sand are sheltered by pine trees and limestone cliffs. The secluded bay of Macarella is also only a relatively short walk away. You reach the beach down steps cut into the rock. 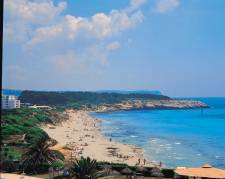 There are other splendid beaches at nearby Son Bou and Cala'n Porter. Nearby Ciutadella is not only a quaint old town with cobbled streets and narrow passages, it also has some of the best shops on the island. Leather is a particularly good buy. Cala Galdana can be quiet in the evening, with nightlife consisting of a peaceful drink as the sun sets over the glittering waters of the sea. Son Bou and Cala'n Porter are livelier with a selection of bars and a few discos. There are an adequate number of restaurants in Cala Galdana, including fast-food, traditional and international cusine and typical Spanish dishes.